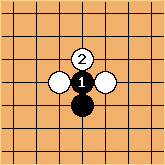 The Japanese term osae means to block the opponent. 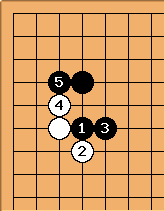 Here is another example ( ) from Segoe and Go Seigen's Tesuji Dictionary (see dictionaries page). For another example, see Heavy Examples, example 1. 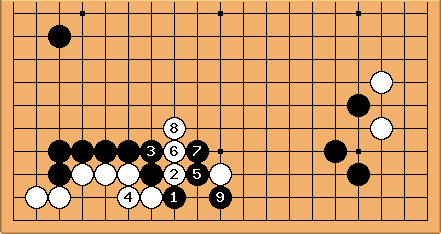 When Japanese go terms are used in English, hane is often erroneously substituted for osae.